The final comics sales estimates for April are out from Diamond Comic Distributors, and as reported here on Friday, Amazing Spider-Man Vol. 3 #1 was the best-selling title in the last 15 years in the comics market overall, and since the mid-1990s if we're looking at just the comics shop market. (It was definitely a high-interest issue, as Friday's post within a day became the most-read article in this site's history!) 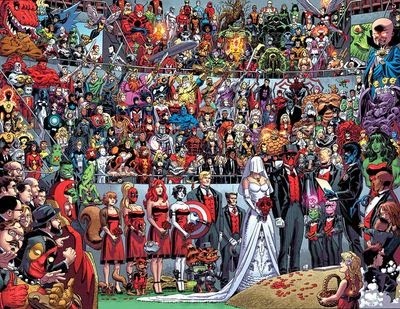 With the new information, Comichron estimates that Marvel sold retailers nearly 532,600 copies of the $5.99 comic book, including all its different variant cover editions. Click to see the sales estimates for comics ordered in April 2014. The Top Comics of the Century List won't be updated until year-end, but barring any further blockbusters, expect to see this issue topping it. 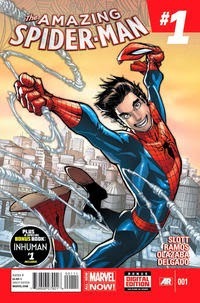 The sales of the previous leader, Amazing Spider-Man #583, sales reached 530,500 copies over the course of an entire calendar year in 2009; Amazing Spider-Man Vol. 3 #1's sales already top it. Unless something happens to reduce the total — like Diamond accepting a lot of returns because of damaged copies — we should expect it to hold its position relative to #583. Some have noted that to a far greater degree than many previous top entrants on the record-setter list, sales of Amazing Spider-Man Vol. 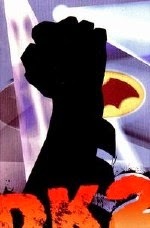 3 #1 were largely boosted by retailers ordering many copies in order to earn incentive special editions. That's true, but the practice is nothing new — and, in fact, every comic book Diamond sells retailers has a sales incentive attached: the more copies retailers order, the higher their discount gets. Amazing certainly lies on the extreme in its use of incentives, but if we're handing out asterisks based on the presence of promotions, the historical records will be replete with them. This huge jump is entirely due to Amazing Spider-Man #1 and Marvel's Deadpool #27, which had a $9.99 cover price: excising those two titles, the average weighted price is just $3.78. There's not much of a case to be made for either issue — even Deadpool, at 100 pages — to not being included in the comics list, however: each is simply a special issue of an ongoing series, and there have been plenty of 100-page specials before. It should be noted that we've seen many past occasions where a special issue bumps the average price far ahead briefly. The first time the weighted average passed $3 was December 2001, when the $7.95 Dark Knight Strikes Again #1 distorted the pricing curve. But the average weighted price was not to go above $3 for good until more than four years later. The average weighted price went above $2 for the first time, incidentally, sometime before 1996. • Marvel's dollar sales of Top 300 comics reached $14.79 million, its highest figure seen in the Diamond Exclusive Era, which began in 1997. The records page does not track these individual marks for publishers, but we do keep tabs on them internally at Comichron. 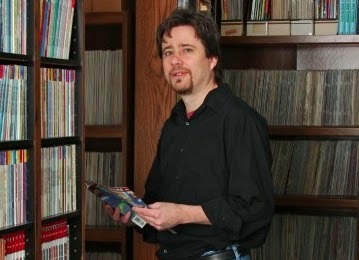 As noted above, the average comic book in the Top 300 cost $3.72; the average comic book retailers ordered cost $4.00. The median and most common price for comics offered was $3.99. Click to see comics prices across time. One curiosity in the charts: sales of graphic novels in the Top 300 were off 14% against last April, whereas Diamond reported that sales for the category overall were up nearly 17%. There's no disconnect here. The first measure is calculated based on full price of everything sold, whereas Diamond's overall figure is based on wholesale prices, or what it received from retailers. As last April's report notes, Marvel put a lot of hardcovers into the market back then at deep discounts, which is why the Top 300 dollar value was inflated. This April's total more realistically reflects what was sold. The 300th-place comic book, incidentally, sold almost exactly 1% of the units that the #1 comic book sold. That's a spread we haven't seen in a long time (and it's not a bad thing, as the 300th-place book still sold over 5,000 copies). 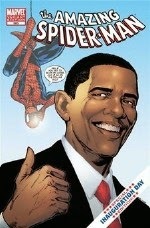 Next month's report will reflect any reorders from Amazing #1, as well as sales activity spurred by Free Comic Book Day. Find your local comic shop here.